OEM Mercedes-Benz CL500 replacement parts can be costly. We offer affordable, used, OEM Mercedes-Benz parts that can extend the life of your Mercedes-Benz! You’ll have access to a wide variety of trims and packages parts for the Mercedes-Benz CL500! What are some common replacements parts for a Mercedes-Benz CL500? We at Benzeen offer nearly every part your Mercedes-Benz will need; here are some of the parts we carry -- though it’s uncommon for an ECU or ECM to fail, water damage can require a replacement. Loud music can sometimes cause your radio or amplifier to breakdown. If your ABS pump is leaking, give your CL500 a quality tested replacement. Fortunately for you, we test and inventory plenty of OEM replacement options for your Mercedes-Benz. Rather than repairing your CL500 transmission, sometimes it is more affordable to replace it with a quality used OEM alternative. If your CL500 is older, don’t worry, our engines are tested and cleaned and include a 1 Year Warranty. Quality used headlamps are our specialty. Where should I go to purchase used OEM Mercedes-Benz CL500 parts? Should I even buy auto parts online? Benzeen offers a wide selection of used parts for Mercedes-Benz’s for any project to rebuild, convert, retrofit or simply replace a broken part. We welcome you to order Mercedes-Benz CL500 parts from our website anytime, anywhere you are! Easily find the part you need and verify compatibility using our advanced online part search tools, no mechanic required! If you have a question, our experienced part specialists are standing by with access to part diagrams, parts catalogs, chassis codes, VIN decoders, and more to help you find the exact OEM part you need! What’s the difference between OEM used, and aftermarket parts? OEM is an abbreviation for Original Equipment Manufacturer meaning that the parts are made directly by the make. Because they’re made to fit the specifications of your make and model, you can expect an exact fit. When you buy used OEM parts, you can expect big savings off the MSRP. Aftermarket parts are manufactured by a company other than your car’s manufacturer. They can be made to similar specifications of your CL500 but may not offer a perfect fit, making used OEM parts a better option. What about a warranty on affordable OEM replacement auto parts for a Mercedes-Benz CL500? Benzeen Auto Parts offers a large selection with savings of up to 70% off new and aftermarket prices. We include a hassle-free 1 Year Warranty at no extra charge on every part we sell (to bring you a reliable and safe alternative to buying junkyard or salvage yard CL500 parts). 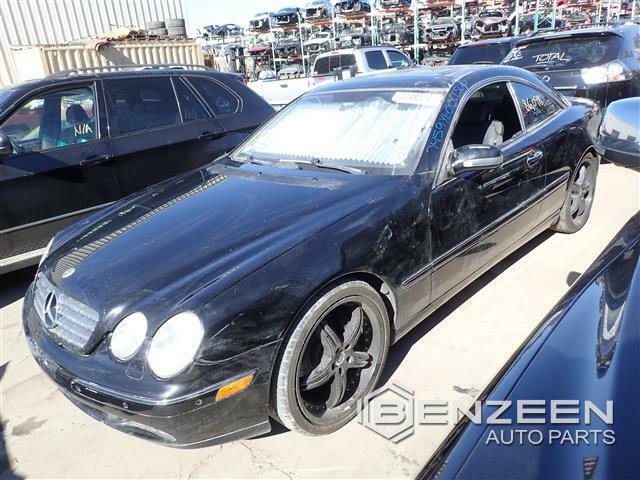 Now parting out this salvaged Mercedes-Benz CL500 to offer quality, reusable parts. We test and inspect every part to bring you the same OEM quality and fit with a 1 Year Warranty, at up to 70% off MSRP. 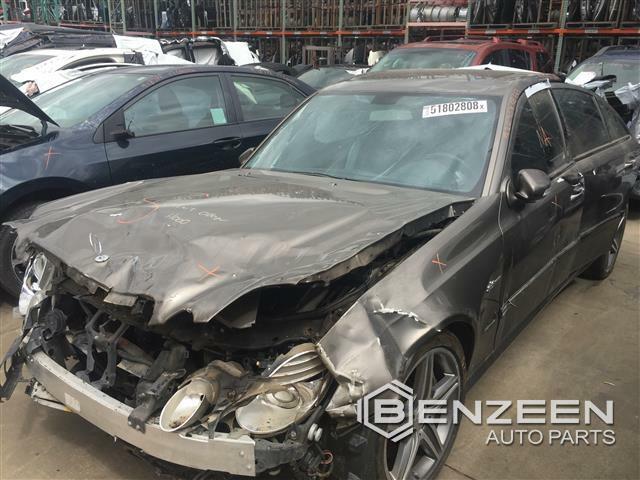 Now parting out this salvaged MERCEDES-BENZ E63 to offer quality, reusable parts. We test and inspect every part to bring you the same OEM quality and fit with a 1 Year Warranty, at up to 70% off MSRP. Now parting out this salvaged Mercedes-Benz SL550 to offer quality, reusable parts. We test and inspect every part to bring you the same OEM quality and fit with a 1 Year Warranty, at up to 70% off MSRP. Now parting out this salvaged Mercedes-Benz ML350 to offer quality, reusable parts. We test and inspect every part to bring you the same OEM quality and fit with a 1 Year Warranty, at up to 70% off MSRP. Now parting out this salvaged Mercedes-Benz CLA250 to offer quality, reusable parts. We test and inspect every part to bring you the same OEM quality and fit with a 1 Year Warranty, at up to 70% off MSRP. Now parting out this salvaged Mercedes-Benz C300 to offer quality, reusable parts. We test and inspect every part to bring you the same OEM quality and fit with a 1 Year Warranty, at up to 70% off MSRP.